Customs cooperation and healthy financial infrastructure remain the top challenges for ASEAN in its efforts to strengthen economic integration and redistribute economic wealth, reported The Nation – an English-language daily newspaper based in Bangkok, Thailand – on April 8. According to the article, one of the key goals for the bloc is a faster, efficient and paperless customs-transit system to facilitate trade and investment among the ten member countries. It said the ASEAN Single Window (ASW) is designed to cut logistics costs, make clearing and transiting border customs checkpoints easier and increase productivity in both the public and private sectors. The mechanism aims to use electronic means to facilitate more-convenient customs procedures, goods in transit, tax claims and licensing approval. 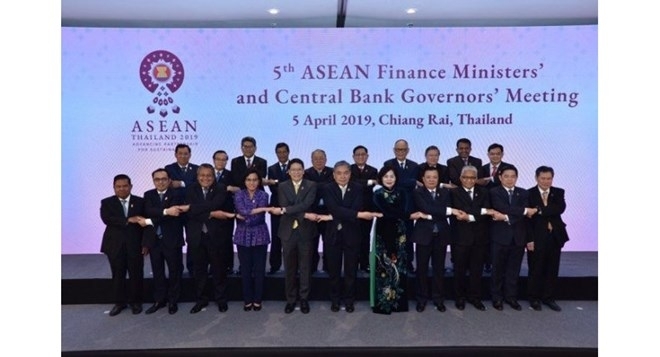 After a two-day meeting of ASEAN finance ministers and central bank governors in Chiang Rai last week, Thai Finance Minister Apisak Tantivorawong told reporters that five or six countries have developed their own national single window and are ready to link with other bloc members. He said Thailand expects all countries to participate in the ASW by the end of 2019, as quoted by the newspaper. According to him, Thailand and its neighbours also discussed combining the inspections of goods by both the exporting and importing country at border check points to save time and lower logistics costs. Currently, only Thailand and Laos have implemented joint inspections at the border. Meanwhile, regarding a payment connectivity initiative, ASEAN is making efforts to boost the digital revolution for deeper economic integration. Notably, Thailand is trying to persuade other countries to adopt the QR-code payment system, by which it ties bank accounts to phone numbers and allows people to use a mobile application for financial transactions. Cambodia, Indonesia and Laos are interested in the concept, said Apisak.